"Nothing is said which has not been said before." Fortunately, I’ve never been accused of plagiarism. But it’s not because I learned early on how to cite my references correctly. In fact, I don’t ever recall being taught how to write a citation. Part of the reason might be because I attended three different high schools. I went to tenth grade in Pennsylvania, where the curriculum was to learn how to write an essay the following year. But my family moved during the summer to New Jersey and I was told that at that high school, students had been taught how to write essays in tenth grade. When I went to Sweden as an exchange student for my senior year, I lost any chance of learning how to write academically in English. It wasn’t until college that I learned how to properly write in-text citations and bibliographies. Nowadays things are different. Students don’t have to wait until college or even high school to learn what a citation is, why it’s important, and how to write one. My colleagues and I taught our middle school students about citations. It was easy to incorporate it into my classes because of the focus on teaching students how to use evidence from texts to support their ideas. 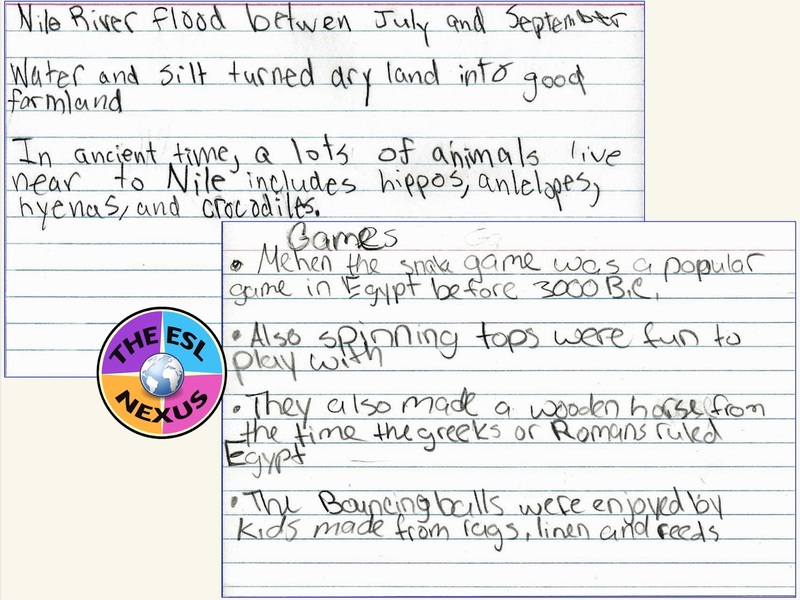 In my ESL Social Studies classes, I did research projects where I made a point of showing my students how to take notes on index cards and writing the citation for the resource on the back of it. And although I was teaching my students the APA format--because that is what I had to use when writing articles for education journals--until one of my school’s librarians told me it was MLA format students should be learning, at least my students were being exposed to the idea of giving attribution to other writers. 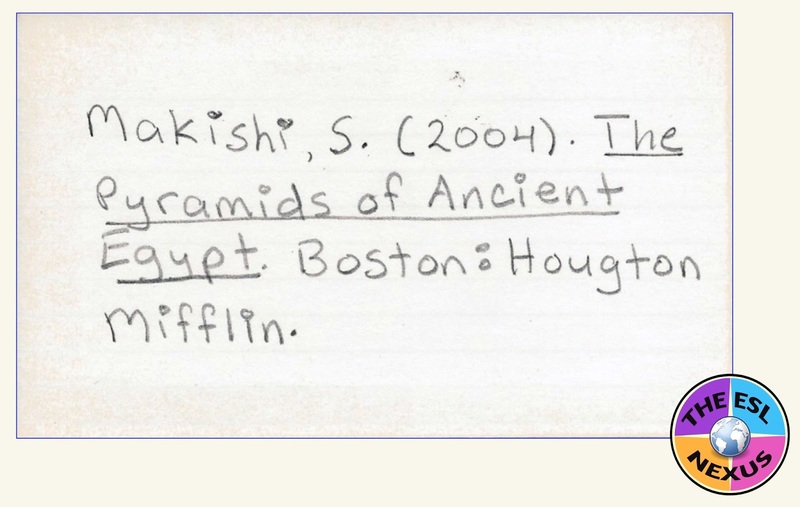 To help students learn how to write citations correctly, I've just created a resource called Practice Writing Citations with Task Cards for middle schoolers to teach the MLA format. I thought task cards would hold students’ interest and be an engaging way to learn about a dry but essential topic. 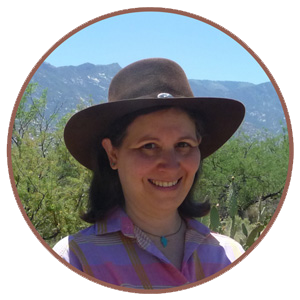 Books with one author, books with two authors, movies, websites, print and online articles, TV episodes, plays, songs, YouTube videos, podcasts, and tweets are the types of resources addressed in the product. I had fun searching for resources that would appeal to middle school students; some of them will be familiar (Hunger Games, Diary of a Wimpy Kid, The Outsiders, A Christmas Carol) but others may be new and pique their interest. I think one of the strengths of the product is that all 72 resources used are actual books, plays, websites etc. that students might encounter in school or use at home. 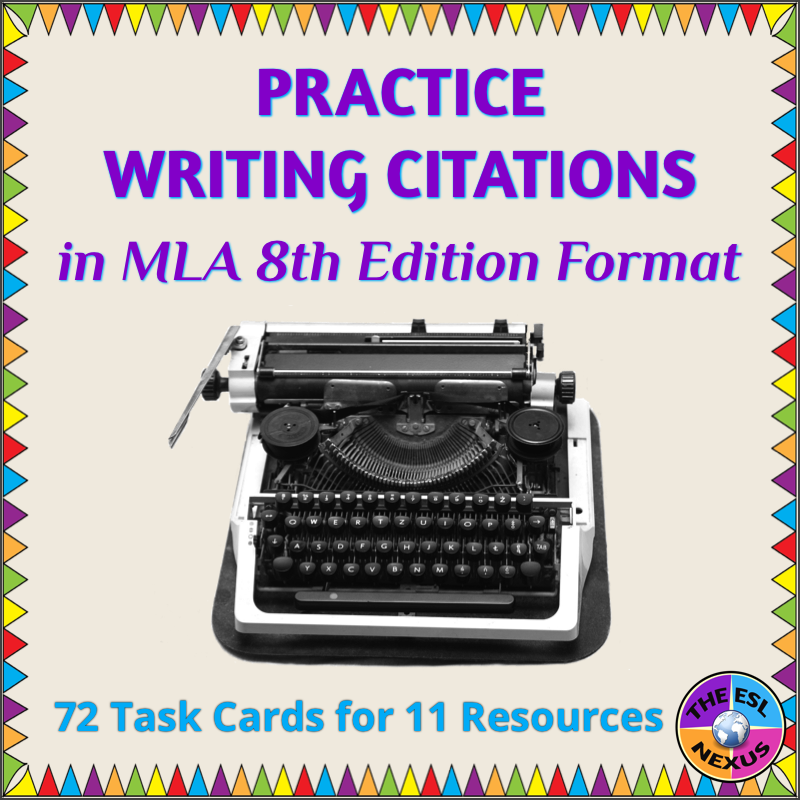 In addition to the task cards, Practice Writing Citations also includes a mini-poster that models how all 11 types of resources should be written in MLA format. This can be displayed to the whole class, photocopied for distribution to students, or used in a writing center. 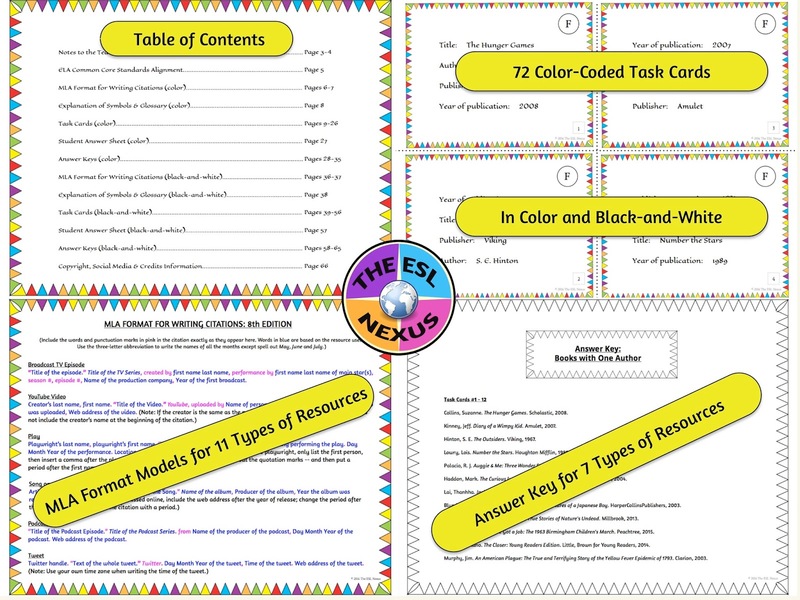 Each type of resource has its own answer key and students can use them to check their work themselves. All materials for students come in both color and black-and-white versions to make printing easy if a color printer is not available. 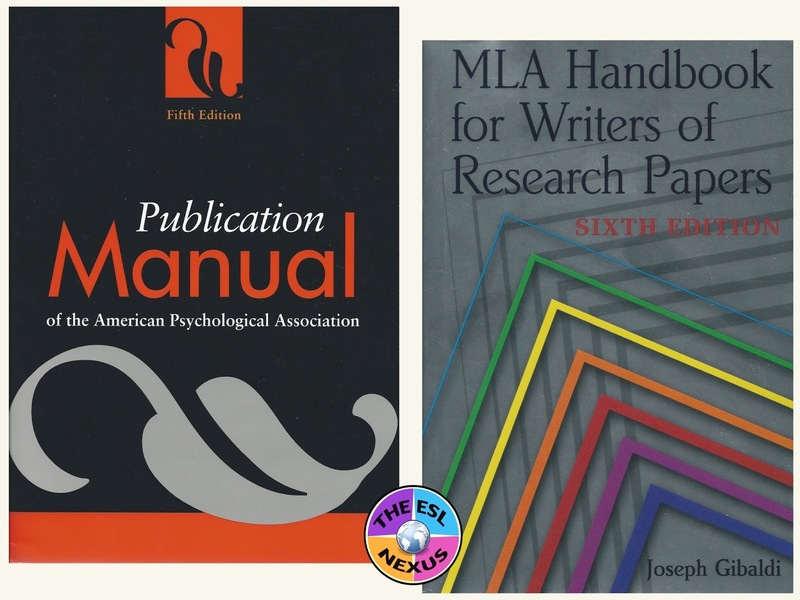 Middle school is the ideal time to begin teaching about citations and this resource will help students learn how to write an MLA citation correctly for several types of resources.